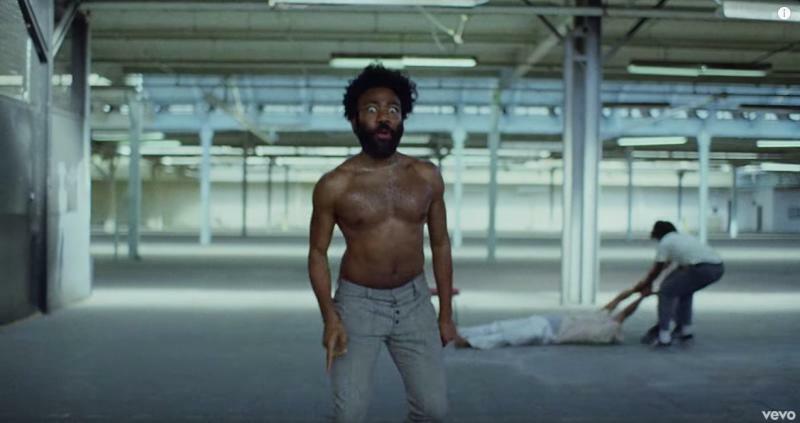 David Pilgrim has watched Donald Glover’s “This Is America” music video something like 10 times now. His calls it a “harsh indictment of indifference,” and he should know. He is the founder and curator of the Jim Crow Museum at Ferris State University in Michigan. 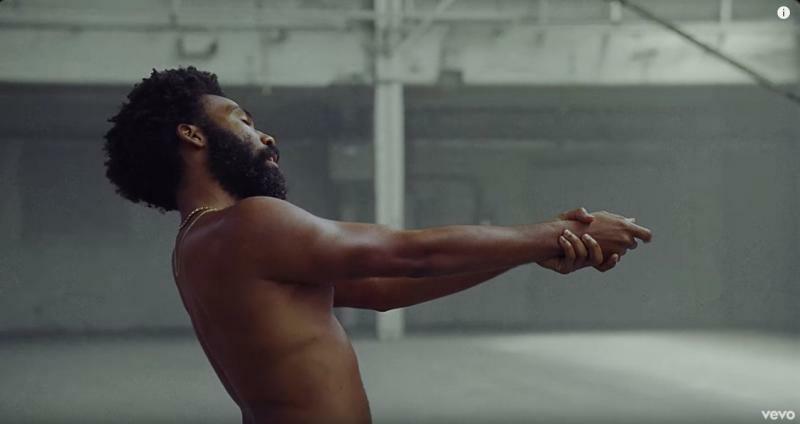 Pilgrim and I spoke at length about the references laced throughout the four-minute video from Glover, aka Childish Gambino —nods to Thomas Rice, the original Jim Crow, as well as blunter allusions to gun and police violence against black Americans. We also spoke about the lively exegesis of the video on the internet, about the interpretations and over-interpretations and the ironic way the conversation has distracted us from one point of the video: that we’re easily distracted. Our conversation took place over the phone and continued over email. The transcript has been edited for length and clarity. What are your overall thoughts on the video? You never know what’s in the head of an artist unless they tell you. So we have to interpret and sometimes we get it right. I did go out and read some some of the critiques from various people and they’re just all over the place. I like it. I like it because, quite frankly, I like any art that pushes intelligent discussions about racism. Any art that pushes that is good for this country. It’s obviously a harsh indictment of indifference. You see children dying, parishioners dying, then we pause and go back to dancing. I really like the inclusion of dancing because I think a lot about dancing. You have this everyday brutalization of black people that’s so normalized and then people just keep dancing as if they were happy and unconcerned. It is true that the posture and gait of Glover are reminiscent of Thomas Rice, the original Jim Crow. I think that the dancing is suggestive of both minstrel dancing but also dancing popular among black people at the time. I’m going off on this whole dancing thing, but it seems to me that, from the minstrel period to the present, both the people being hurt and the people doing the hurting have often ignored the hurt by dancing. Another thing I thought about were all the deaths and violence that I was seeing. There’s the obvious symbolism — the white horse, the shootings themselves, the holding of weapons — but I started thinking to myself that to be black in this country is to be surrounded by, and even gutted by, premature death. That was one of the ideas I couldn’t shake. But I was a little troubled with a couple pieces. I’m not sure how to say this, but we cannot see ourselves as helpless even though we live in a country that routinely hurts us. And I think I’ve come a long way just in my own frame. The museum was originally just about the hurt. And so many African Americans would come in and say they know this is a racism museum and it’s not a black history museum, but you’re just showing the hurt. You can’t just do that. You have to show the resistance. So at the end, when he’s being chased, I get it. Sometimes the prudent thing to do is to run. But sometimes you have to stop dancing, stop running and plant your feet and resist. 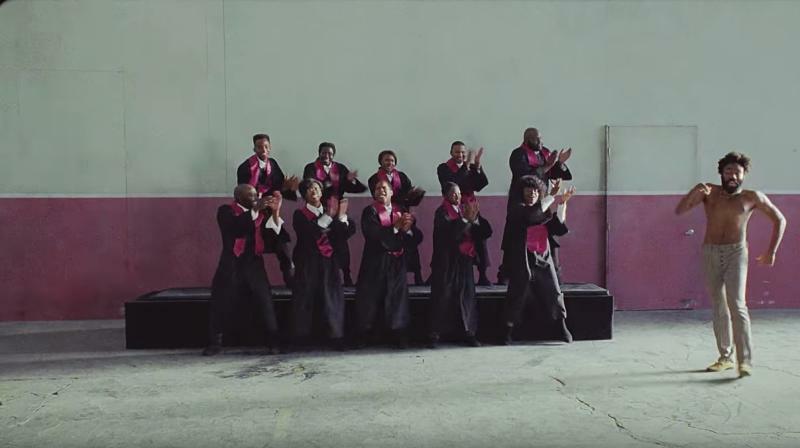 What historical references and nuances did you see in the video? Like, I saw one tweet that said Donald Glover’s pants were similar to those worn by Confederate soldiers. Some of that I’m just not sure about. I tried to look closely at a lot of that and some of that’s just a problem with symbolism. That’s why I started by saying that you never really know what’s in the head of an artist — what they’re doing intentionally, what they’re doing unintentionally, what’s meant to be deep, where they’re trying to make you work harder to understand. Some of the things are easier, though. I think it’s fairly clear that he did imitate the posture of Thomas Rice. There’s some other history placements there, but they don’t go back to Jim Crow. Overall, in terms of historical references, I didn’t get as much as other folks got. And maybe I’m imagining stuff, but when he’s standing in front of the choir, just for a second, it looks like he was on a minstrel stage. But then I thought, I’m reading too much into that. I don’t understand him not wearing a shirt. I would probably have 50 questions for him were I to have the opportunity to talk to him. And I would ask him about not wearing a shirt. That hardly ever happened in terms of minstrel performances, whether they’re professional performances from the 1830s to 1900s or even the amateur ones after that. People were often clothed in some gaudy way — part of a tuxedo and part of some raggedy pants. I think a lot of the stuff people are seeing is possibly just something they are seeing, which speaks to the beauty of art. I also think it speaks to a personal genius on his part. He’s given a canvas that people can finish and used symbols that have multiple interpretations. So much has been said about the white horse of the apocalypse thing — and to be black is to always have death running behind you. If you look at obituaries and look at the years of the black people and the years of the white people in any city in this country, you’ll notice a difference. You don’t have to be a sociologist to see that. No one does. In Mobile, I had colleagues who routinely went to funerals. That’s what they did. They just went to funerals ― even if they didn’t know the people. It just seemed like premature death was a part of the African-American experience. And it’s not just death but also destruction. To be black is not only to be surrounded by premature death; it’s also to be surrounded by poverty and hurt and discouragement and belittlement. This bag on the guy’s head at the beginning of the video. Does that remind you of anything? Because I felt like it reminded me of some photo or something that I had seen. And it could just be me projecting, but do you have any thoughts about it? My first thought was about more modern killings of people by terrorists. If you look at some of the early images of Klansman and Klan-like organizations —theWhitecapsandpatrol groups during enslavement— they would sometimes make these crude bags, but the bag there I don’t think it had eyes in it. It just looked like what we do to someone who’s been captured. Clearly the video is making a lot of commentary about gun violence in America, specifically about how guns are used to kill black people in America and how that is not necessarily the type of thing that gets the most attention. I also have been thinking about how lynching has evolved into things like the Charleston massacre, into things like police violence. Of course those elements are in the video. 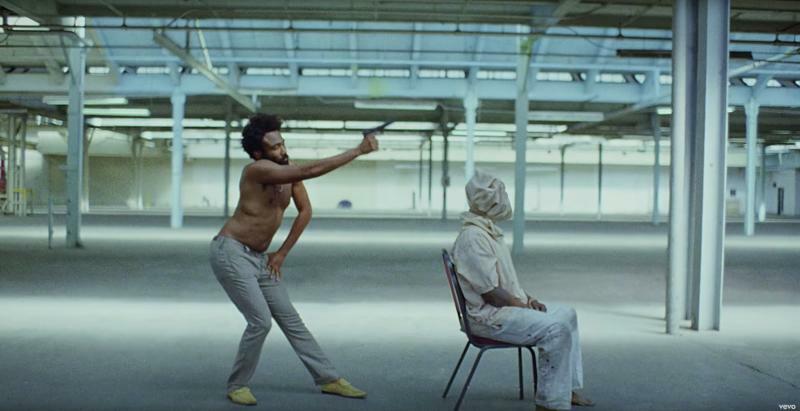 But do you have any thoughts on gun violence, the way it’s represented in the video? This video, for me, goes back to minstrelsy. Obviously while people were inside being entertained, black people were being mistreated outside. The minstrel shows began before lynchings were common, but they extended in to what one might call the lynching period. Lynchings did not often show up on the stage. For me, it’s significant because you have this make-believe black life being recreated on a stage — oftentimes of safe black people or black people we don’t have to be worried about — while outside of those auditoriums you have white people in fear of the so-called black brute. And I wonder how different my response — and the response of others — would be if the person pulling the trigger was not a black person symbolizing the oppressor but was actually a white person. I got into it with a friend about this. I am hurt by the loss of life whether it’s done by a white police officer or a black neighbor. I think this video does address both of those things. Most of the commentary is just about the white oppression of black people. But the video is also acknowledging that black people kill other black people. My friend was saying that the message got lost because a black person was doing the killings. My response to that was while obviously crime in black communities and racial violence inflicted upon black people are not the same, these are both things that happen, both are things to care about. I wondered who it would benefit if the shooter in the video is white. How is this easier to digest if it’s a white person as opposed to a black one? And that got me to the point where you either have black people killing each other and white people don’t care, or you have a white person killing a black person in another “justified shooting.” It’s easy for them to separate themselves either way. Let me ask you a couple questions. So those children who are dancing. Do they look like the children who have, because of their clothing, gone to some type of city school where people have to wear a uniform? I took that a couple different ways. I did take it as a school uniform, but I also saw it in the vein of, we’re all the same. The girls and the guys he’s dancing with, they all have similar hairstyles. But I just took it as, we’re all the same. I also thought about that recent story about the school in Chicago where all of the kids wear uniforms. Most of the kids are black. They have to be escorted to and from the bathroom, which got me thinking about how school has become a pipeline to prison for black kids. And I spiraled from there. There is that. I’m gonna go way out of the box here, if you don’t mind. Oftentimes the minority group is forced to conform — or at least give the appearance of conforming — and it doesn’t help anyway. Look at the Cherokee Indians, or any number of other Indian indigenous tribes, who were forced into boarding schools and forced to talk like, walk like, look like, dress like whites, and they were still mistreated. Even if you conform you will still be surrounded by all of the pain. It’s still running by you. The other thing that we didn’t talk about was the history of desecrating black people when they’re dead. Inmy new book, I have a section about how black bodies were used to make leather products — shoes, belts, purses, book bindings, razor straps, anything you would use leather for. Why do I mention this? Again, not trying to read too much into it, but the dragging of that body to me represented this disrespect for the bodies of black people living or dead. It seems like we’re both landing on the point that the video — regardless of everything else that’s going on — is serving up the critique that nobody cares about black people unless we’re dancing. You summarized that well. But the other part is that dancing is a thing done by blacks and whites to keep from dealing with the reality of America. Yes. When the dancing stops, the problems remain. Each day we dance — or work, or study, or shop — as if this country does not have systemic injustice, as if some groups are not hurt in the everyday flow of society. Every now and again, a racial incident or an expression of art makes us pause and reflect, but we soon return to dancing, return to the avoidance that we crave.